Includes beautiful views of the Sierra Nevadas, a fully equipped kitchen, spacious deck and more. Front view of the Village Log Home. Kitchen Area with three stools sitting around the island. Plenty of counter space. Exterior deck Living Room with 48 TV, DVD player, and a Wood burning stove. Wood provided in winter. Dining Room Area set for eight. Open living room with two over sized chairs and couch. Love seat and views of the stairs and loft. View of the bedroom with two twin beds. Bedroom with two twin beds, a rocking chair, and a TV. Downstairs shared bathroom with double sink and mirrored medicine cabinets. Downstairs shared bathroom with bathtub and shower. Bedroom with Queen Bed. TV in Bedroom with Queen Bed. Loft area with a very comfy couch and large chair. Loft Area with the very large comfy chair. Master bedroom with a California king bed. Master bedroom with rocking chair and TV. Comfy seating in master bedroom. Master Bathroom with double sinks. Master bathroom with shower and Jacuzzi tub. Deck from master bedroom Main Deck out front of the house. Views of Carson Peak. 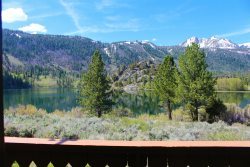 This lovely vacation rental home is positioned between Gull Lake and June Lake, near the marina and all of June Lake Village. You'll love the very comfortable recliners in the living room and upstairs loft, and the beds are cozy too. You have an easy walk to both lakes and all the fun in town. One car garage, two car driveway (3 cars max). Open floor plan makes this an ideal vacation rental for families and small groups. The kitchen is loaded with everything you would need for your vacation. From the living room there are two bedrooms, a large bathroom and another deck. The first room has a queen bed and the second has two single adjustable beds. Both rooms also have TV and cable. The bathroom has a jet shower/tub, double sinks and a washer and dryer. Upstairs is the master bedroom and loft, with oversized couch that is included as a bed, and a oversized chair that could even be another bed. Enjoy nice views from the master bedroom with partial views of June Lake, vaulted ceilings and a Sleep Number California king bed. This room also has a double chaise lounge, 48" TV with cable, and a private deck with views. Attached to the master bedroom is a large bathroom with a tile shower and a separate Jacuzzi tub. - Large oversized couch - THIS IS INCLUDED AS ONE OF THE BEDS THAT SLEEPS ONE! - In the heart of the village, walk to marinas, restaurants and shops! gorgeous home with beautiful views. Very spacious home and comfortable. The team is great and we will likely be back. We loved the house and can't wait to come back. I'm hoping next time the hot water heater and dishwasher will be fixed. MANAGERS RESPONSE: Thank you! We have passed this information along to the homeowner. We loved the full kitchen for cooking Thanksgiving Dinner and the wonderfully huge recliners. The loft was nice too for relaxing after our hikes. This whole experience with June Lake Accommodations was wonderful. They were efficient and accomodating in all ways. Sometimes when you rent homes, it is a bit of a suprise, good and bad.. This home was a VERY PLEASENT SUPRISE! We will definitely rent again. It was a treat for us all-around!  Sierra Rogers was extremely helpful, pleasant and knowledgeable. When we checked out she helped us find another cabin which we reserved for the same time next year. I also called her later that morning to see if there might be larger cabins available, I received a quote immediately from her with the links on four potential places. Great service! The Village Log Home was the best cabin we have stayed in during our 22+ years of visiting the area. Beautifully decorated cabin, perfectly located within walking distance to the Gull Lake Marina and June Lake, as well as the town. So much so that our grandchildren 10 and 14 who brought their bikes, were able to bike to the lakes and towns, favorite was getting ice-cream. Our family had a wonderful time. We wanted to book it for the next year unfortunately it was already booked. Your team was very responsive and accommodating to our needs and followed up quickly to my inquiries by email and phone. Village Log Home was even better in person than what I saw on the website. Really great stay, very spacious and comfortable for four adults. Conveniently located in the village but still very peaceful. Great mountain and lake views from multiple decks. The dark skies and stars at night were breathtaking. We will most definitely be back. Our family enjoyed our stay very much. The cabin was even nicer than we expected from the pictures online. We look forward to coming back next year!